Alexa is very popular among the bloggers as it is considered to be criteria to judge of how authentic or popular your website is? A few years back it isn’t the case as nobody knew what alexa is or how it works. But now the internet is flooded with so many websites and the competition has grown so fast that now everybody is in the race. So, apart from doing your regular things like posting a blog, sharing a thing or two or tutoring people with some “how to……” content, you need to think out of the box and put that little extra effort that is needed to boost your rankings. Before taking a deep knowledge of some tips to improve your alexa global rank, let us learn what alexa actually is. Alexa is a Web Information Company, they rank the website on many factors like traffic. Alexa rank is updated daily. Alexa.com was found in 1996 and they collected data for ranking a website through a toolbar called Alexa Toolbar which integrates with your browser and tracks your browser activity. Is Alexa Important As Far As SEO is Concerned? Many SEO specialists, including me, suggest not to consider Alexa rank when you do SEO for your website as it is just a metric which pretty much determines on the traffic you are getting through alexa toolbar installed people as it is the only way alexa can know your traffic. Well, there is one more thing to it. If you have purchased a pro edition of alexa, you need to certify your site’s metric in order to make alexa record the amount of traffic you are getting. ( Of course, this one’s for the pro version which many aren’t using). There are many metrics like Page Rank, Domain Authority available on The Internet, So why should we focus on boosting our Alexa Rank? Many advertisers (not Google Adsense) focus on Alexa rank for advertising on your website. 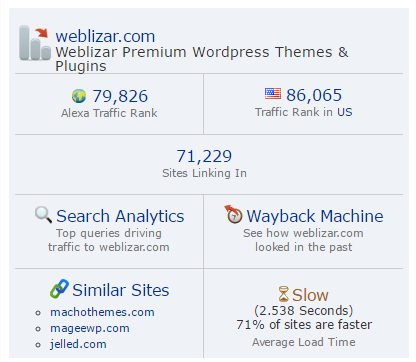 So it’s Important to get lesser Alexa rank for every webmaster who depends pretty much on advertising for their payout. Now, since we have learned what alexa is, how it works and is it worth working for alexa, let see some tips to improve your alexa global rank. Let’s check the article below to find the best tips to improve your alexa global rank. Alexa toolbar sends yours hits to Alexa servers to get your required website Alexa rank. After installing Alexa toolbar, when you visit your site, Alexa toolbar will consider a hit and send it back to your site’s traffic tracking data that Alexa is monitoring to give your site a rank. It’s dramatically increasing your website ranking if your site is below 1 million like 30 lacs or 50 lacs. Install Alexa Toolbar from your favorite browser, as the browser you are using more will help to maintain the records for you. Installing Alexa Toolbar really helps to increase your website ranking. All clicks or hits on your site aren’t generated by you and unfortunately not every visitor visiting your site will have Alexa toolbar installed on its browser, and many visitors visit your site through smartphones as well. Alexa is smart enough to track visits on your website but isn’t it helpful for us if we help Alexa to track hits on our site? Certainly, this is one of the best tips to improve your alexa global rank. For this situation, use Alexa widget on your site. Alexa widget works like an Alexa toolbar installed in your website visitor and every hit make changes your site ranking quickly. Add the code below in your Website’s footer but make sure it is on the homepage as most of the people land on your homepage first. Replace www.weblizar.com with your website name. I have mentioned it in my previous blogs and will say it again. Undoubtedly, unique content is the key to success. If your content is unique, authentic and trustworthy, your site will get more traffic for sure. Search Engines loves unique and new content, and they prioritize content based on their freshness and uniqueness. When you write unique content on some topics, Google makes sure to give you top spot on their page for related queries. 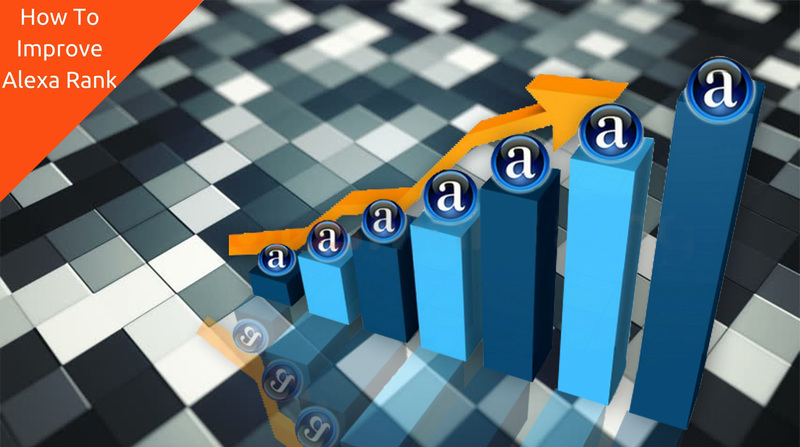 Most of the traffic comes from search engines first page and if your article is found on the first page then it is bound to drive a lot of traffic to your website and this will help to increase your Alexa global rank as well as your country rank too. Writing regularly helps to increase your blog rank up quickly. Do you love dead blogs? So think if your blog does not update regularly, how will you get the decent amount of traffic which is needed to give you overall alexa rank a boost. Tip: Write at least 2 to 3 post weekly with fresh and unique content and check how fast Alexa rank increases. Make sure to do a little survey of people are actually searching before you start writing your blog as this will give you a head start of what to write about. You can use Google Keyword Planner for that. Everyone’s now connected to the internet through social media. Many users are only limited to Facebook or Twitter to get the best news or results. Try to share your content on social media as it is the biggest traffic mine in the world where you can dig traffic depending on the efforts you are applying. Make sure you are not spamming unnecessarily as you can get banned from various pages or groups for spamming your content. Set up Facebook, Twitter and Google+ page for your website. Also, submit your site to StumbleUpon, Digg, and Reddit. Try to write emotional, questionable content which is hard for people to not share on social media. Is Alexa ranking still important in 2017? If you want to impress your visitor then it matters and alexa helps you to identify popularity of your competitor website as you can check any website’s limited stats through Alexa. The above-stated methods worked for me and they should work for you as well. Although there are many other ways to boost your alexa but these are certainly the best tips to improve your alexa global rank. Comment if you have any doubts and I’ll be more than happy to answer your niche queries. Also if you haven’t checked how to setup Google Accelerated Mobile Pages(AMP) on your website, check it out. And some tips to get quick approval for Google Adsense. Yes I am one hundred percent sure you’ll see improvement in your alexa rank. Although I would recommend not to waste more time on improving Alexa. Many more SEO experts will agree to this. If you need any help later on, don’t hesitate to comment. I’ll be glad to help you out with your ALEXA ranks. I agree with the first suggestion, by installing the Alexa Toolbar may improve Alexa rankings but in my opinion the best is writing content original and post regularly. Thanks Danish, for information. And I agree with you, content has always been the king as far as SEO is concerned and with few tweaks here and there and your Alexa will definitely improve. Thanks for sharing it. I am looking on internet for this kind of help, finally found it here. I loved your article it was very thorough and I learned quite a bit about it, the alexa widget code you provided doesn’t work on my site, I think the new WordPress update isn’t compatible with it just yet. I always like to read your posts and get something new that helps to improve my work skills. But I found nothing today in this post rather than promotional tone as Alexa’s packages.